Would you be interested in living over 100 years of age if it meant that you would be physically active and mentally sharp? Seriously, what if you knew that with a few simple changes to your regimen that you would be able to extend your life an additional 10 to 20 years while enjoying an active lifestyle? You might be surprised to know that scientists have discovered numerous people groups that live into their 80’s, 90’s and even past 100 years of age almost disease-free; escaping the ravages of chronic diseases such as cancer, coronary heart disease, dementia and stroke. For example, many Okinawans live past 100 and are still riding bicycles, hiking, even jogging and looking much younger than their age? What do these people know that you don’t? Seventh Day Adventists living in Loma Linda, CA live 8 years longer than their American neighbors. What are they doing that other Americans aren’t? 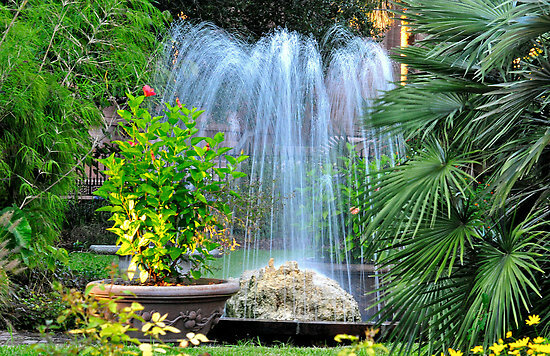 Man has searched for the secret of the “fountain of youth” for more than twenty-five centuries. As a result of this pursuit in slowing the aging process and in particular the scientific study of Centenarian (living past 100 years of age)groups worldwide, there is a wealth of fact-based evidence readily available that is consistent with the latest medical research on healthy lifestyles. The results of these studies, some over 100 years in duration, lay out a blueprint to live healthily past 90 years of age and even past 100. Living long while maintaining an active lifestyle is not strictly due to genetics or luck. Nor is it about secret potions or magical elixirs. In fact, once you know the “Centenarian Secret”, it will all make perfect sense. The good news for you and me is that no matter what our age, we can also live longer and healthier if we will start today doing the simple things that these Centenarians do. 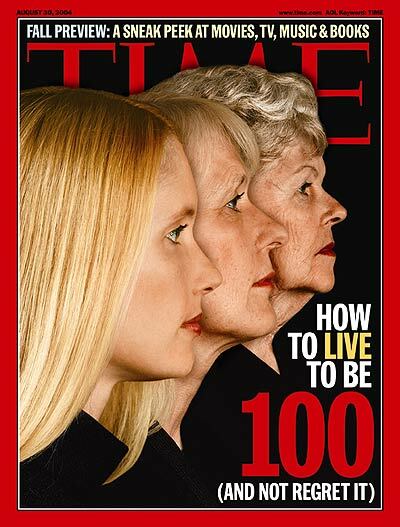 Hopefully, you’re asking yourself, “What do these Centenarians doto live long, healthy, rewarding lives?” For the past 30 years I’ve extensively researched how to live “healthily” well past lifespans that we are familiar with in the Western world. Over the next series of posts (articles), I will be discussing the science behind living long and thriving. If you haven’t already clicked on the “Follow” button on the bottom right of my blog, please do now to be notified of my next postings. Don’t miss the secret behind the fountain of youth! This entry was posted in Centenarians, Life Extension, Longevity and tagged Centenarians, Fountain of Youth, How to Live Past 100 Years of Age, Live Actively Past 100 Years, Live Disease Free, Live Mentally Sharp Past 100, Okinawans, Prevent Cancer, Prevent Dementia, Prevent Disease, Prevent Heart Disease, Prevent Stroke, Prevent type-2 Diabetes, The Centenarian Secret, What Do Centenarians Do. Bookmark the permalink. There is no “follow” button on the bottom right. Good to hear from you! I will check into the issue. I’ve had 152 so far check in. I will check with some of them to see how they are following. The “Follow” button shows up on the bottom right on my PC. I hope that you enjoy and that your health benefits from what i have learned. I’ll get back to you. I will send out my next article Sunday evening. You can return to the blog then to see the next post. I do see the “Follow” button on the bottom right of the page. On my screen it hovers right above the bottom bar of my PC. I did talk to some others who said, it was hard to find. If you have a problem, let me know and I’ll call you and maybe we can figure it out. I congratulate you on putting together this blog. I look forward to promoting it as this information is valuable to all of us. A month ago we discovered that my mother in law has a tumor in her aorta. My mom has back and nerve problems, my father takes pills for high blood pressure. I love my parents and all that they have given me…. But what if these things are things that DONT have to be passed down? I look forward to God’s plan for my life. I look forward to learning from you more of what I need to keep myself, if it is His will, healthy to fufill all that he has planned for me. May God bless you and your family. It is because of people like you that i believe God has led me to share what He has so graciously given me. I will be praying for Aicela’s Mom, and your Mother and Father. Over 20 years ago, I had a pinched nerve that necessitated surgery. It created tremendous pain in my lower back and down my left leg and left foot. Before the surgery I prayed and God spoke to me and said He would heal it in 3 days. And Jean, he did! I canceled the surgery and my back became the strongest part of my body and never had a problem til this day. I will send you a video conducted by Japanese researchers that may be helpful for Aicela’s Mother and for your Dad.